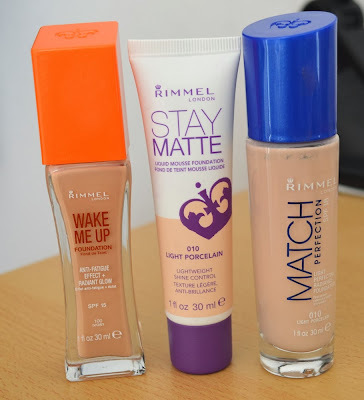 Thanks to my MakeupAlley Secret Santa, I received the new Rimmel Stay Matte Liquid Mousse Foundation 010 Light Porcelain. This is described as a feather light, oil-free formula that delivers all day shine control and a natural looking matte finish while minimising the appearance of pores. It is available in 5 shades in the UK, versus 8 in the US. You can find it on ASOS.com for £5.99 with free international shipping. 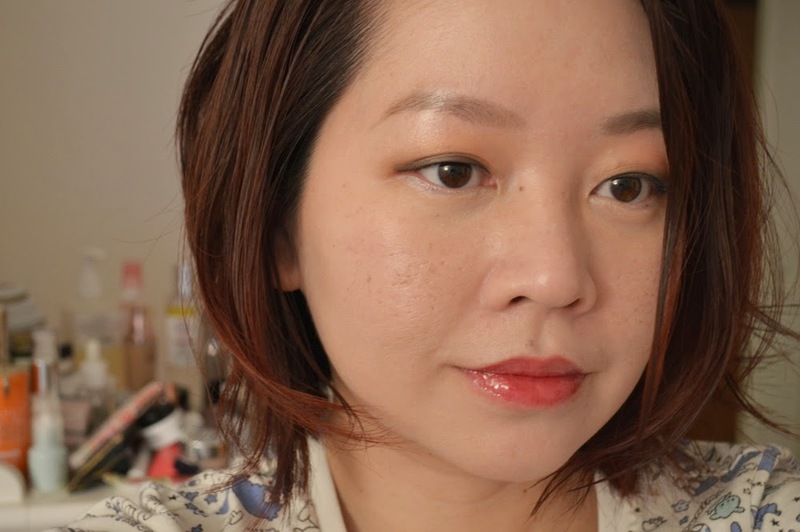 Earlier mousse foundations from brands like Maybelline and Bourjois did not work that well for me but nevertheless, I was curious to try this out. 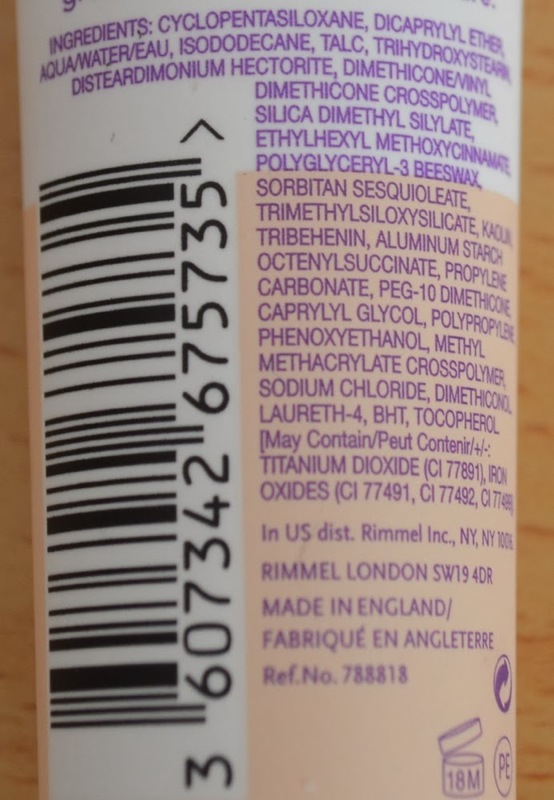 Made in England, Stay Matte Liquid Mousse is high in silicones and quite well-pigmented so only a pea-sized amount is required for one application. Using too much makes this look heavy and artificial. It transforms to a matte powder finish on the skin. I like to top this with a light dusting of Guerlain Crazy Meteorites Pressed Radiance Powder for a more polished and subtly radiant finish. 010 Light Porcelain was a tad pale when freshly applied on my skin but after some time, it adjusts to a more natural tone on me. 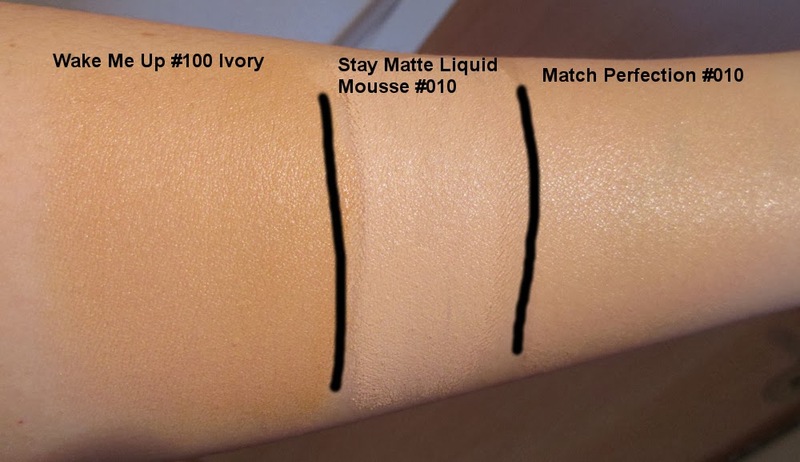 It has a more pinkish neutral undertone compared to Rimmel's Wake Me Up #100 Ivory, which swatches significantly darker and more yellow-toned. Rimmel's Match Perfection 010 Light Porcelain is a tad darker and more sheer, satiny finish compared to Stay Matte. Stay Matte worked well for me in terms of oil control and covering up my pores and skin redness. In the winter weather over here, my skin is less oily than usual so even after four to five hours, only my T-zone showed a sheen. 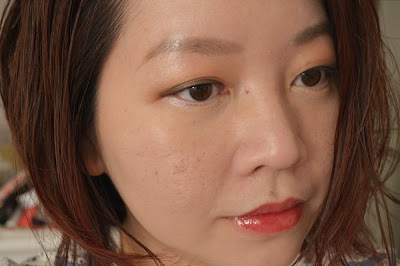 It lasts well throughout the day and even without blotting, my skin does not become a greasy mess whereas blotting was required more frequently with Match Perfection and Wake Me Up. 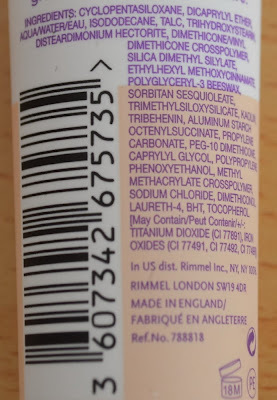 I liked the coverage that it provided and how well it lasted on my skin. It's one of those foundations that looks better some time after application, after mixing with the natural oils from your skin. Like other mousse foundations, it does not play well with dry skin, so moisturising beforehand is necessary. I've been using Ren Vita-Mineral Day Cream, which goes well with Stay Matte Liquid Mousse. 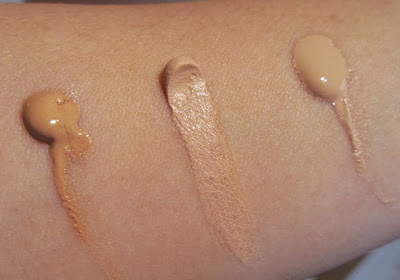 Overall, I think this is a good affordable option for normal oily skintypes that require medium, long-lasting coverage. Interesting and impressive indeed! I think the stay matte will work on me too. I like the shade and it seems to blend well with the skin. Hi Haru, do you prefer Match Perfection or Wake Me Up (apart from shade differences)? I've got Wake Me Up and like it, but am thinking of picking up Match Perfection as another daily wear foundation. 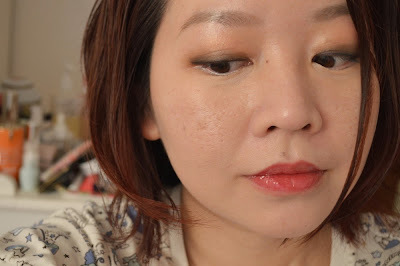 Do you find the finish of MP less dewy/shimmery than WMU? Thanks! 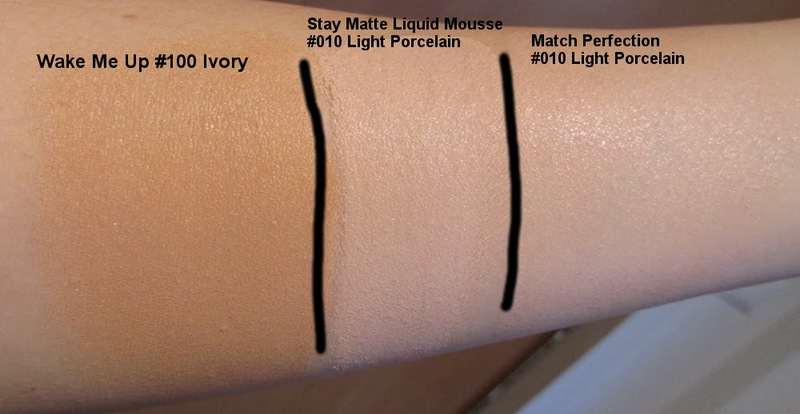 I bought Match Perfection in 010 Light Porcelain and it was pale enough (first time that's ever happened with a drugstore foundation!) but the undertone was too pink for me. 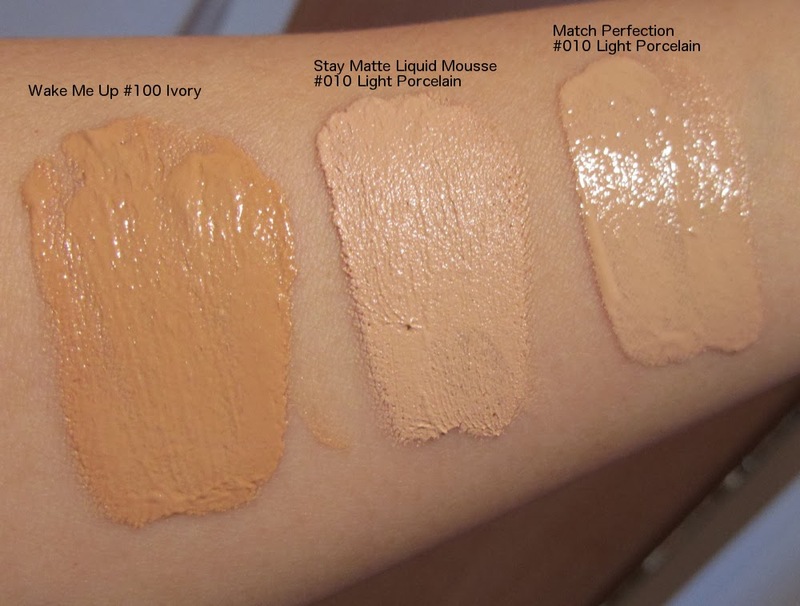 So then I bought 081 Fair Ivory and the undertone is more neutral but the shade is a little dark. I read that using a yellow setting powder will cancel out the pink of the foundation. 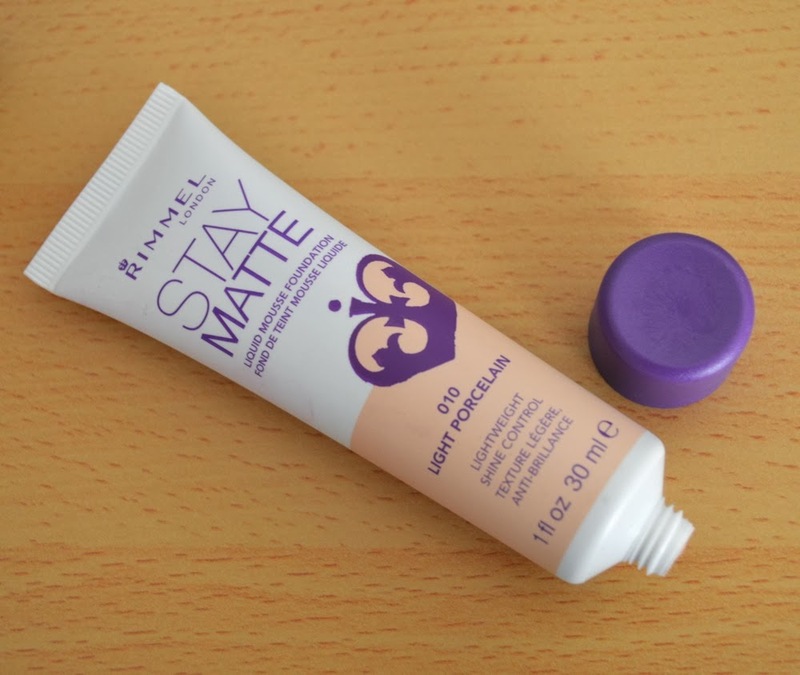 The Stay Matte looks great on you! It looks like a great Summertime foundation, especially because it seems to not contain SPF. It would probably work great on me since I use a high SPF sunscreen (they're all greasy unfortunately) as my daytime moisturiser. You mentioned it has a pink undertone, so I'm wondering if the Guerlain powder you used to set it is yellow toned? The Guerlain powder I used is the pressed Meteorites from the Crazy Paris collection which has a pink undertone. The Match Perfection Light Porcelain adjusts on my skintone with time so it looks more natural after awhile. I also use it to mix with the foundations in my collection that are too dark for my skintone. Match Perfection doesn't work that well for me as I need to blot quite frequently with it, even in this dry winter weather. The finish is less shimmery than Wake Me Up. I haven't worn Wake Me Up in awhile but I remember it being quite good for daily wear.